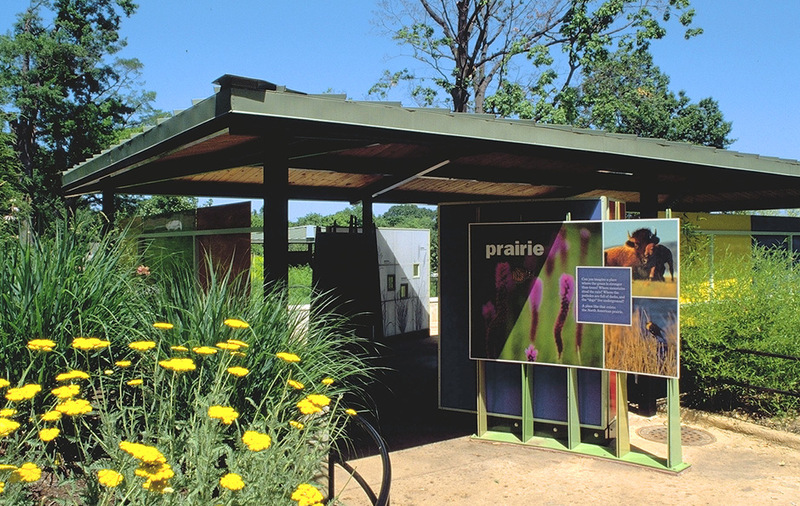 Main Street’s challenge in designing the National Zoo’s North American prairie exhibits was to evoke and interpret our continent’s vast open plains on a wooded hillside site in Washington, DC. 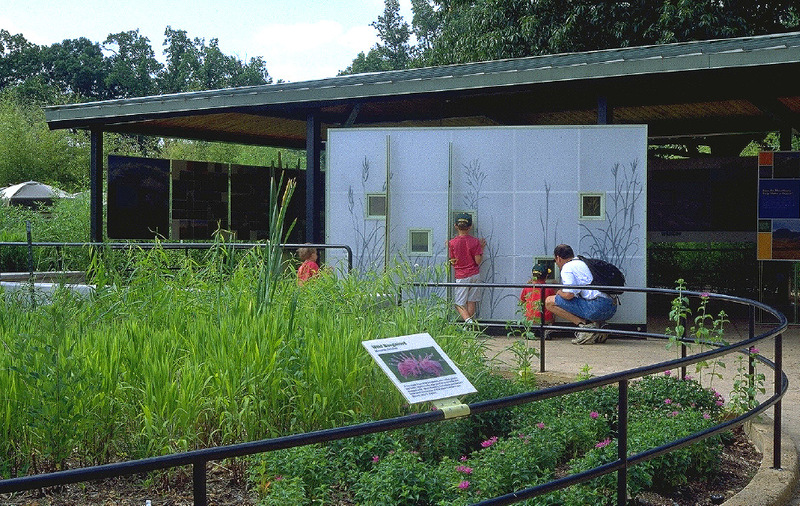 To do this we blended careful design and siting of exhibit structures with evocative landscape treatments and three distinct levels of interpretation. 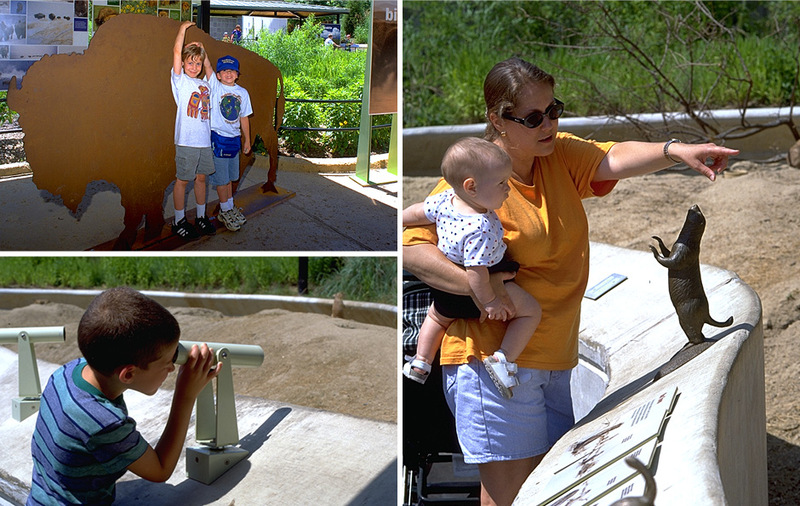 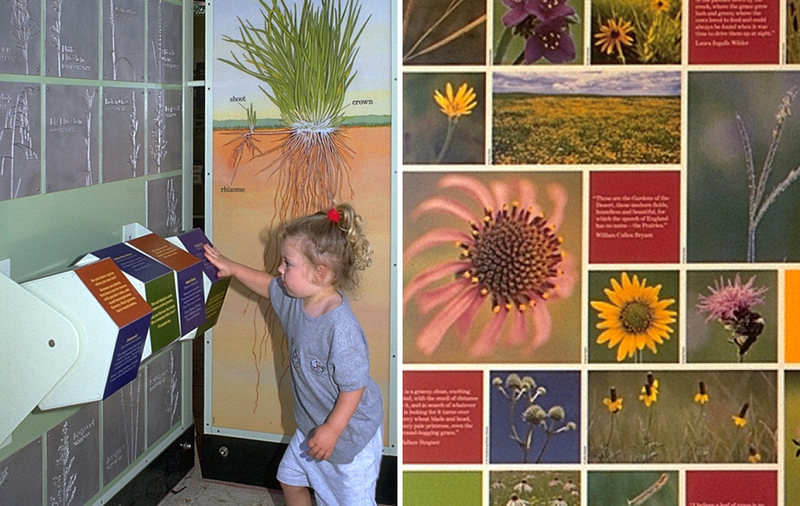 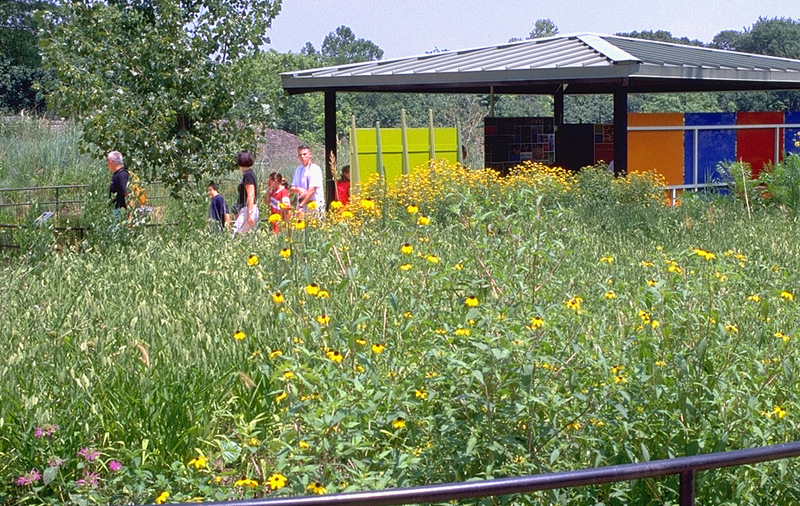 In the Interpretive Center, housed in an open, barn-like shed structure, visitors encounter a high density of exhibits, including numerous interactive and hands-on opportunities, that explore cultural and ecological themes; overlooks, focused on bison and prairie dogs, provide direct interpretation of the species and habitats on view; and an integrated system of interpretive rails unobtrusively and accessibly extends messaging along visitor paths and walkways, where native prairie plants grow in delightful profusion.